This Friday night in New York City promises to be unforgettable. The hard-driving drummer & bandleader,Willie Jones III slides in for one-night only,three dinner sets. August 21, 1st set begins at 7:30pm. 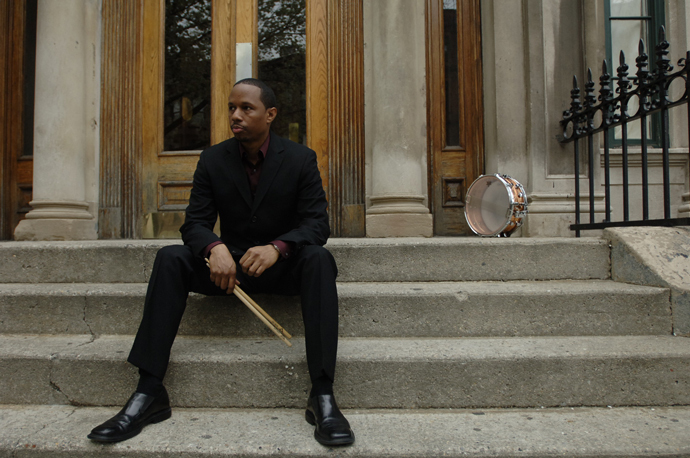 Willie Jones III, one of the hardest swinging drummers in modern jazz, is an important bandleader who leads groups that have irresistible chemistry. He has worked with an extensive list of major jazz artists including extended stints with Roy Hargrove, Arturo Sandoval, and Hank Jones. He’s also a noted record producer and label owner who has released several critically acclaimed albums as a leader. The New York Times states, “He comes from a line of percussive descent established by Kenny Clark, and later modified by Philly Joe Jones; he’s more than comfortable with polyrhythms, but it’s straight-forward swing that suits him best.” Joining Jones, is the all-star lineup of Jeremy Pelt, Ralph Moore, Eric Reed, and Gerald Cannon.